1. Log in to the WebLogic Administration Console, and access Security Realms –> myrealm –> Providers Tab –> Authentication sub-tab and create a New Authentication Provider (OUDDirectory). Name: Enter a name for the Authentication provider. For example, OUDDirectory. Type: Select IPlanetAuthenticator from the list. 2. Set the Control Flags of the newly added authenticator and the default authenticator to ‘SUFFICIENT’. REQUIRED – This Login Module must succeed. Even if it fails, authentication proceeds down the list of Login Modules for the configured Authentication providers. REQUISITE – This Login Module must succeed. If other Authentication providers are configured and this Login Module succeeds, authentication proceeds down the list of Login Modules. Otherwise, control is returned to the application. SUFFICIENT – This Login Module need not succeed. If it does succeed, return control to the application. If it fails and other Authentication providers are configured, authentication proceeds down the Login Module list. OPTIONAL – This Login Module can succeed or fail. However, if all Authentication providers configured in a security realm have the JAAS Control Flag set to OPTIONAL, the user must pass the authentication test of one of the configured providers. Note: Control Flag attribute determines the ordered execution of the Authentication providers. 3. Select the “Provider Specific” tab and enter the required values for your environment (Host, Port, Principal, User and Group DN’s, etc.) and save it. 4. Reorder the authenticators to move the new authenticator into the first position in the list. 5. Activate changes and restart Oracle WebLogic Server. 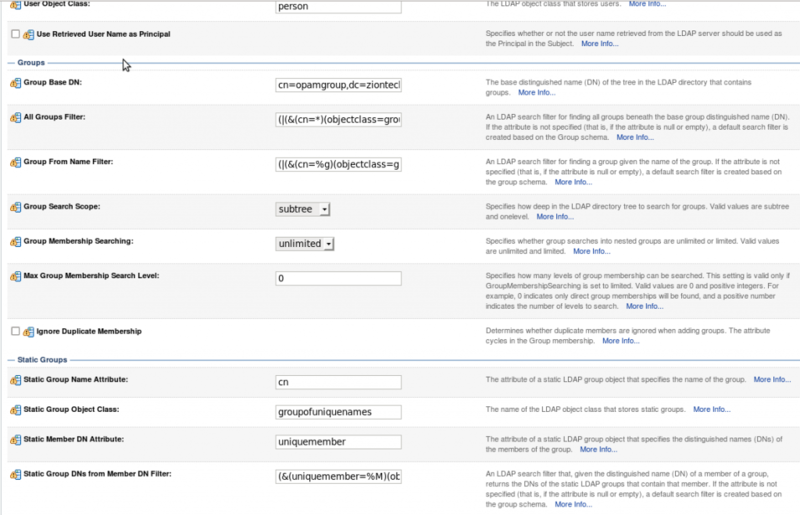 Pre-configuring the identity store extends the schema in Oracle Unified Directory. 2. Create a properties file, called extend.props and enter the required details. 1. Set the environment variables:MW_HOME, JAVA_HOME, and ORACLE_HOME (set it to IAM_HOME). 2. Create a properties file, called apm.props with the system details. End Users: Oracle Privileged Account Manager End Users are not assigned any roles, so they have limited access to Oracle Privileged Account Manager user interface components. These users are only entitled to perform certain tasks; which includes viewing, checking out, and checking in privileged accounts for which they have been granted access. You must configure Oracle Privileged Account Manager’s Catalog Synchronization task to include the Oracle Privileged Account Manager server’s web service Certificate authority (CA) certificate or HTTPS calls to the OPAM server cannot succeed. Locate and save the CA certificate (.pem) file to the trust store. For example, from a Firefox browsers, Click the lock icon in the browser’s address bar. When the information dialog displays, Go to More Information –> View certificate –> Certificate Viewer dialog –> Details tab to view the Certificate Hierarchy. Select the first certificate in the Certificate Hierarchy list, and then click Export. When the Save Certificate to File dialog displays, navigate to the directory where you want to save the file. Select X.509 Certificate (PEM) from the Save as type menu, enter opam.pem as the file name, and click Save. FILE_LOCATION: Full path and name of the certificate file. ALIAS: Alias for the certificate. TRUSTSTORE_PASSWORD: Password for the trust store. Creating an OUD Application Instance. Create Group (opamgroup) in OUD (Identity store). Run Organization and Group Look up recon Schedulers from OIM ‘sysadmin’ console and verify in the corresponding Lookups in the design console. 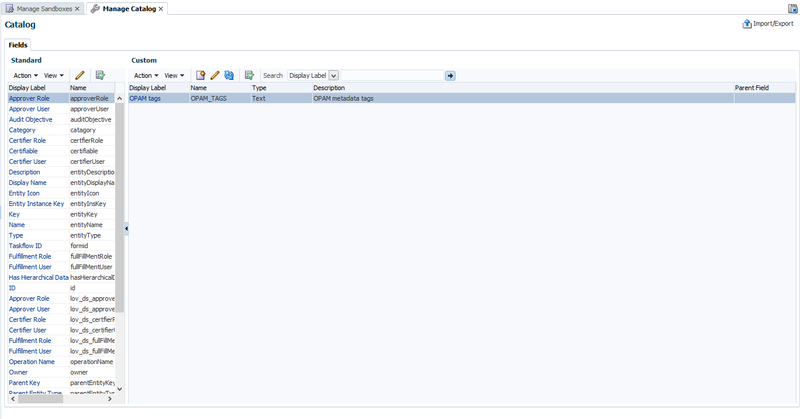 Run the catalog Sync Scheduler Job and check the Entitlements are added in the OUD Application Instance. Once connector is installed and configured successfully, then do the following steps to integrate OPAM with OIM. 1. Set APP_SERVER, OIM_ORACLE_HOME, JAVA_HOME, MW_HOME, DOMAIN_HOME parameters. Creates a UDF column named OPAM_TAGS in the Oracle Identity Manager catalog. Creates the OIM.OPAM.Integration system property (if it does not yet exist) and sets it to true. If any of these tasks fail, the script automatically executes the next task. After setting up the Oracle Privileged Account Manager-Oracle Identity Manager integration environment, you must manually create an OPAM_TAGS user-defined field (UDF) in the Oracle Identity Manager catalog. 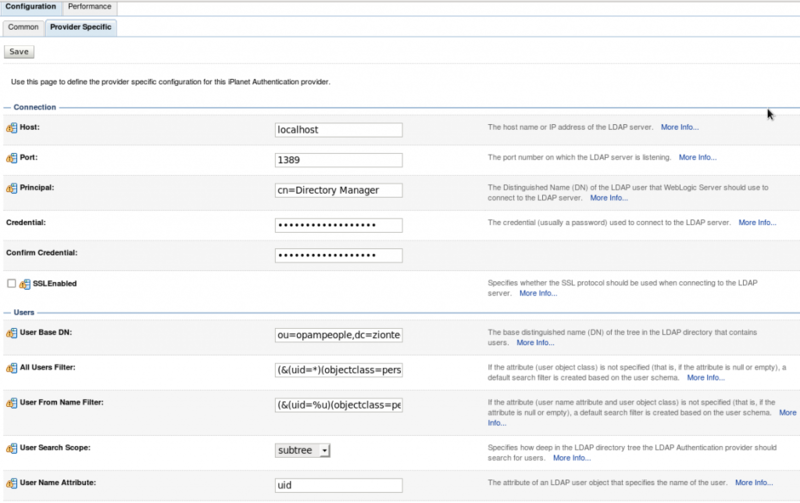 This enables Oracle Privileged Account Manager to search the Oracle Identity Manager catalog. Log in to ‘sysadmin’ console and create and activate a sandbox. Click Catalog to open the manage Catalog page. 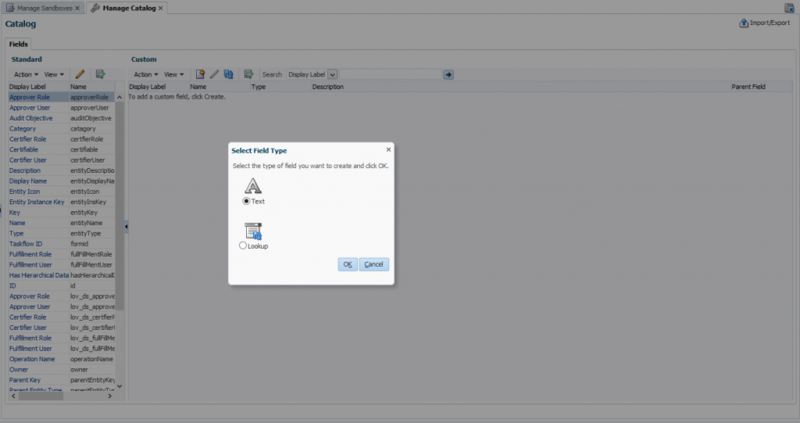 Create a custom field icon and specify the necessary settings and then verify that the UDFs appear in the custom fields table. The Oracle Privileged Account Manager Catalog Synchronization Job created by the opamSetup script, tags the catalog entries with the Oracle Privileged Account Manager metadata. Go to Schedulers page in ‘sysadmin’ console, and run the OPAM Catalog Synchronization job. The purpose of this scheduler is to get all groups and entitlements added by target privileged account user and update the catalog entitlement OPAM_TAGS field with the target information. 1. Create a test user in OIM and provisioned user to OUD. 2. Login into OPAM as opam_admin and check the list of privileged target accounts assigned to group (opamgroup). 3. Before assigning this group, login OPAM console with the created test user and check the Accounts. (The created user shouldn’t have any privileged accounts). 4. Now we are going assign “DEV_OIM” privileged account to the test user (CSALADNA) through OIM by searching the catalog with privileged account name/ target type/ target domain/ target name which will display the all entitlements containing the ‘opamgroup’. 5. Login OPAM console with CSALADNA and check the Accounts. (It will display privileged target Accounts related to ‘opamgroup’). 6. In Group grantees, login with admin user in OPAM console and check for the user “CSALADNA” in the list of users. This successfully completes the Integration of OPAM and OIM.